"Everton shut out their previous hosts in Premier League top-seven finishers Southampton and are facing a team that have netted just once in their last six Capital One Cup home ties." The Tykes haven't been able to get excited much since their masterful run to the 2007/08 FA Cup semi-finals at the expense of Liverpool and Chelsea. Eight successive bottom-eight finishes in the Championship inevitably ended in relegation in 2013/14, and they had a rough landing in League One last term. There is a sense that current boss Lee Johnson, the 34-year-old son of former Bristol City Championship play-off final participant Gary, is returning them to an upward trajectory though. His February appointment triggered a four-match winning streak and they have lost four times in 19 outings since, triumphing away to Millwall already in 2015/16. Four points is probably in line with what most Everton fans expected from an triple header of Watford at Goodison Park, Southampton away and Manchester City at home, only with the victory coming against the newcomers rather than being a 3-0 romp at St Mary's. The Toffees have averaged 3.4 points from the first available nine over the past seven seasons, so they are actually performing slightly better than the norm, indicating that the 2-0 defeat against early leaders Manchester City on Sunday shouldn't provoke too much negativity. As far as team news is concerned, Roberto Martinez rotated but still picked fairly strong sides in his 2013/14 and 2014/15 Capital One Cup openers. It will be interesting to see whether injuries to Leighton Baines, Brendan Galloway, Tony Hibbert, Darron Gibson and Steven Pienaar result in more regulars playing or more youngsters. At first glance, [6.0] is a massive price on Barnsley given that Everton haven't won an away game in the competition this decade and flopped 3-0 at Swansea last year. However, on that occasion they had the Europa League to manage as well, nudging this tournament down the priority list, while an even more powerful 2010s-long streak is Barnsley's failure to claim a 90-minute Capital One Cup win this decade, getting by on penalties at Scunthorpe in the first round. An Everton clean sheet would be a strange success of sorts for Barnsley, vindicating the Merseysiders' recent policy of snapping up the Yorkshire club's brightest defensive prospects. John Stones, who is now valued at over £30 million and is rumoured to have handed in a transfer request in an attempt to push through a move to Chelsea, left Oakwell for Goodison in a £3 million deal in January 2013 and was followed this summer by Mason Holgate. The 18-year-old is yet to feature, though a debut against his former employers is a possibility. Martinez's men shut out their previous hosts in Premier League top-seven finishers Southampton and are facing a team that have netted just once in their last six Capital One Cup home ties. Fair enough, one of those was against Manchester United, but they also met Rochdale, Morecambe and Crewe in that sequence. 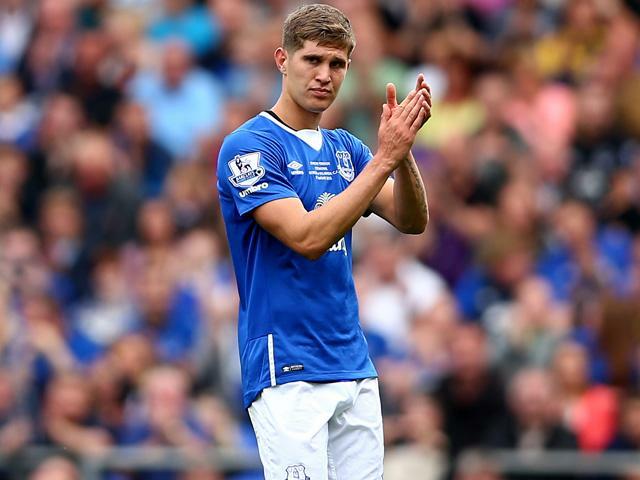 Premier League Weekend Review: Are Toffees serious about keeping Stones?